Nelsons Heating & Cooling offers air conditioning repair and heating services in Williamsburg, Newport News. 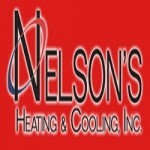 We also provide Furnace Repair and HVAC contractors at best prices. Call us to get a free consultation from us.